The question most frequently answered by our representatives is "Can you tell me what my home is worth?" We can help! 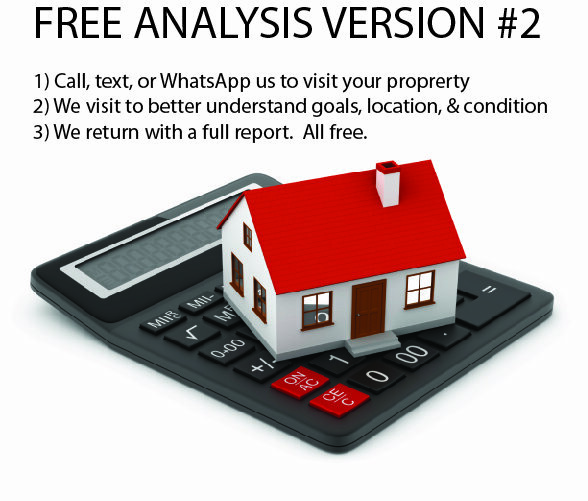 We will provide a Comparative Market Analysis of your property at no charge, no obligation. See below with the ways we can help. Additionally, you can also start our visit by entering your information online. Start by completing our online Market Evaluation Form. Then, a member of our experienced staff will get back to you within 1 business day. Our trained agents have a minimum of 7 years of practice. In normal transactions, the selling price is the highest price the market will bear. To assist in determining an asking price, we will provide an analysis of comparable properties which have been recently been offered for sale. First, recently SOLD properties similar to yours. Secondly, currently LISTED properties that could be competition. Then, by carefully reviewing the data provided, considering the location, size, similarities and differences, we can develop a picture of the market for your property. Rest assured your personal info will not be sold or exchanged with any third party. Any information submitted to us will simply be used to provide requested services and to communicate with you. Please read our Privacy Statement for our complete policy. When it becomes time to sell, we will be ready!